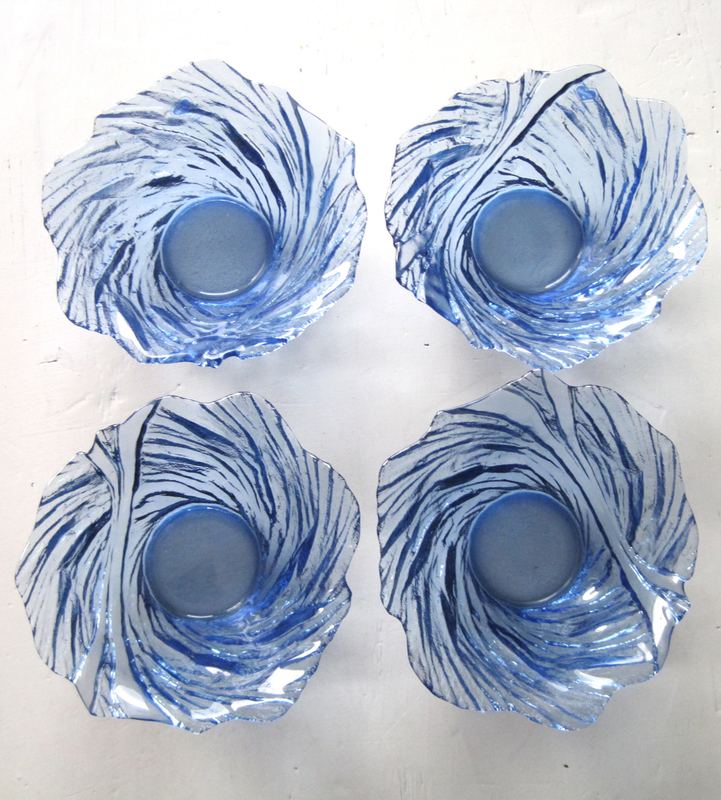 These blue ULTRA bowls, designed by Pertti Kallioinen for Riihimaki Lasi some time in the 1980's are really beautiful, even if the pink version of these bowls seem to be more appreciated, the blue bowl has its charm. 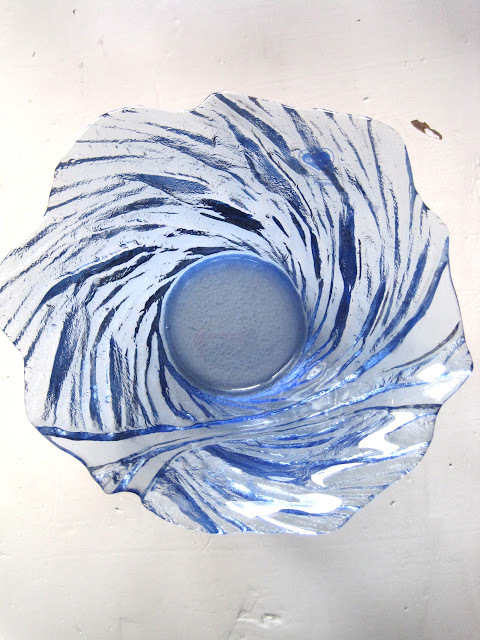 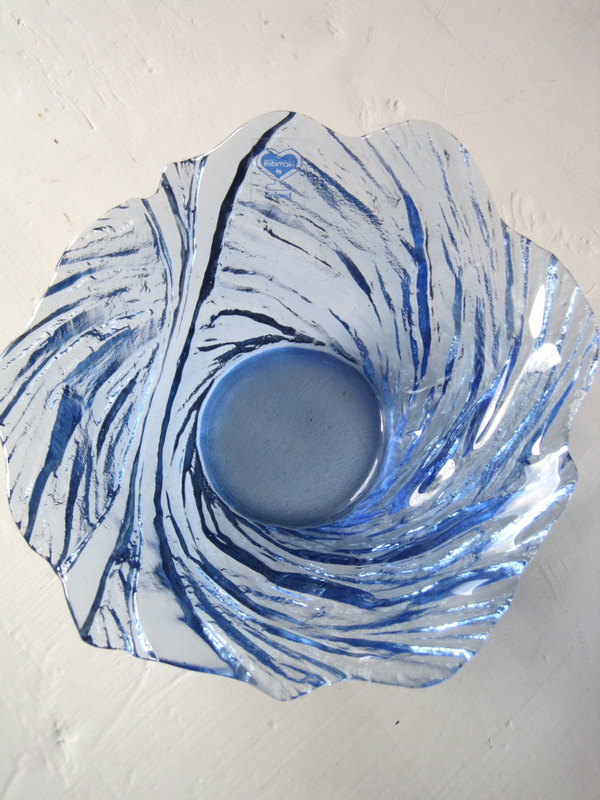 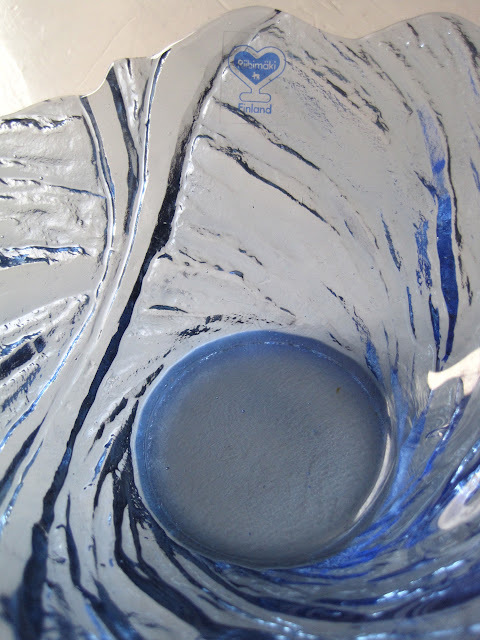 It is a lovely designm textured glass, waves like, it made sense to include them in my series of blue glasses. 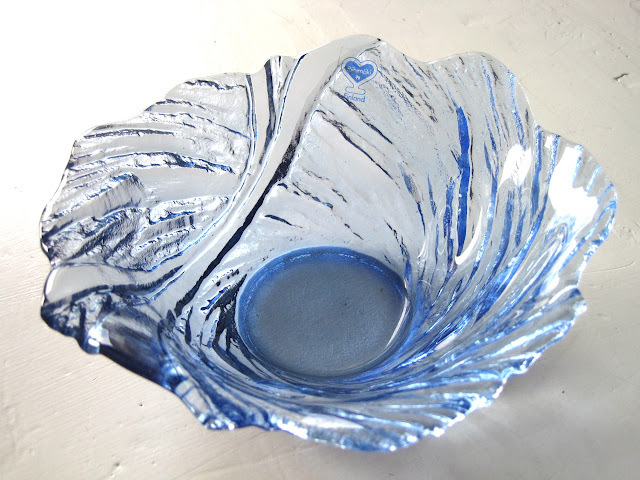 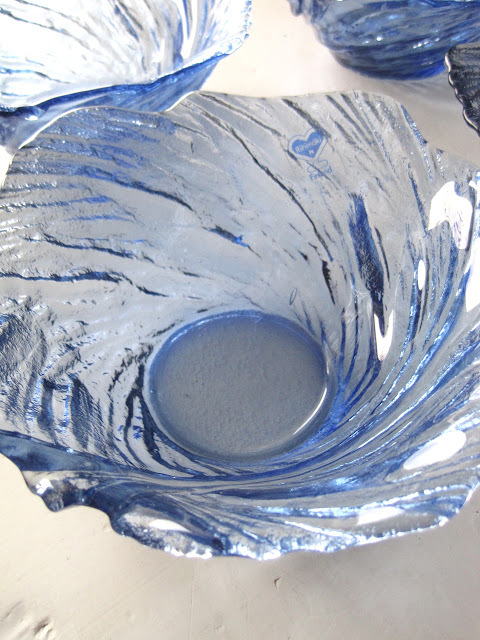 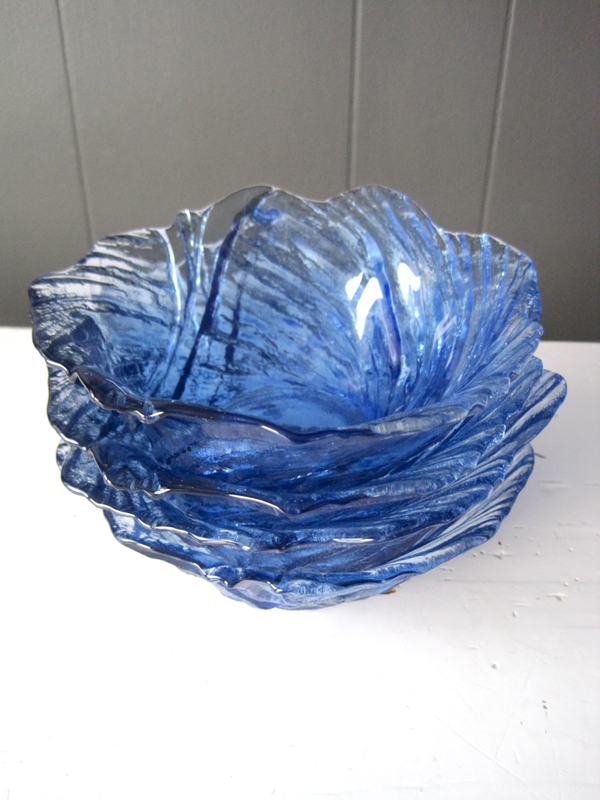 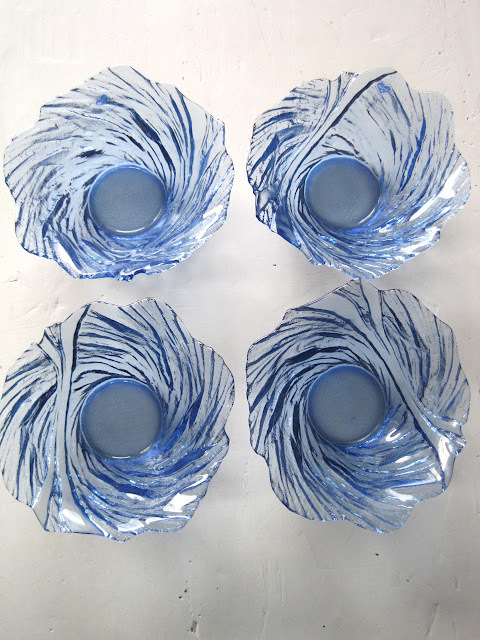 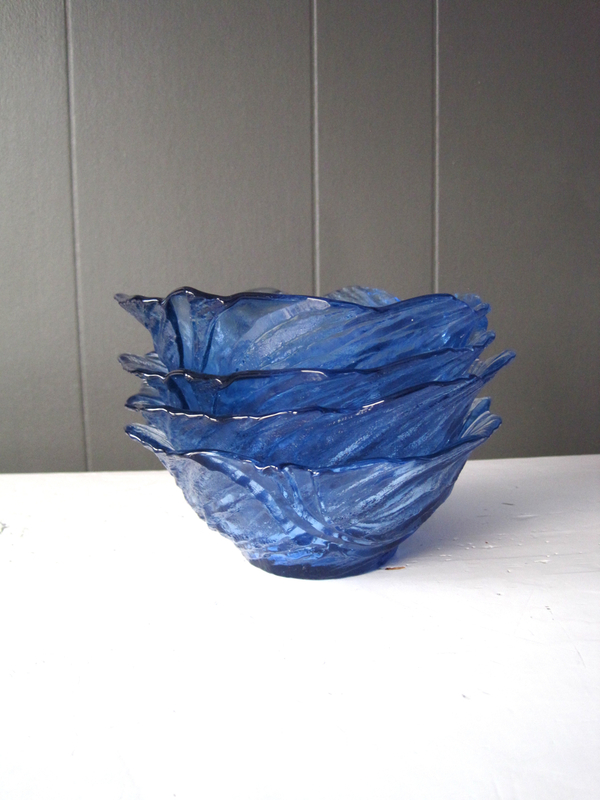 As I have mention before, I make this series because I love blue glasses, textured (like these bowls) or not. 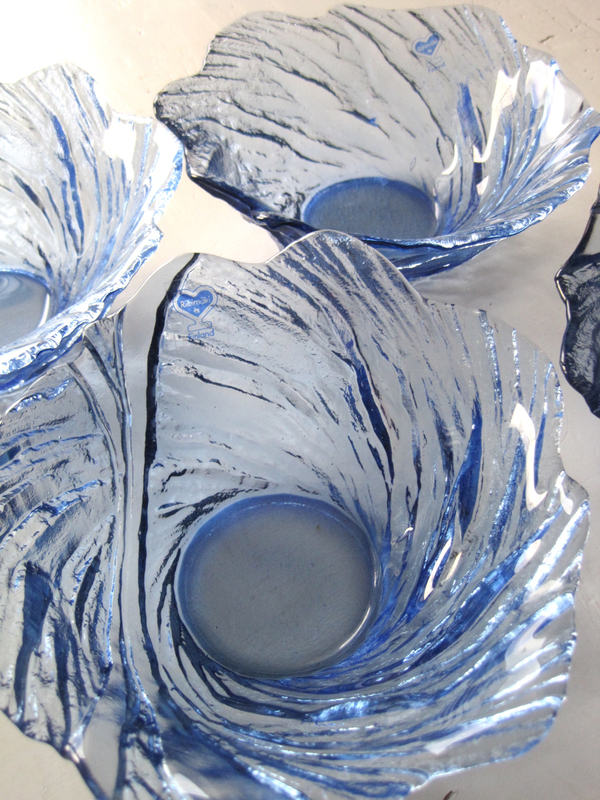 Any plain blue glass will do it for me, I think they are super pretty. 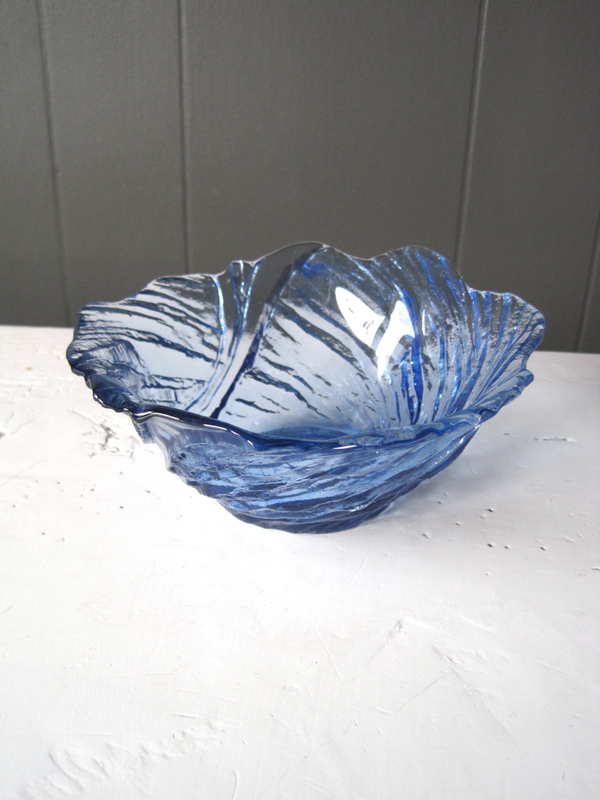 We have these beauties in stock in our Etsy store.